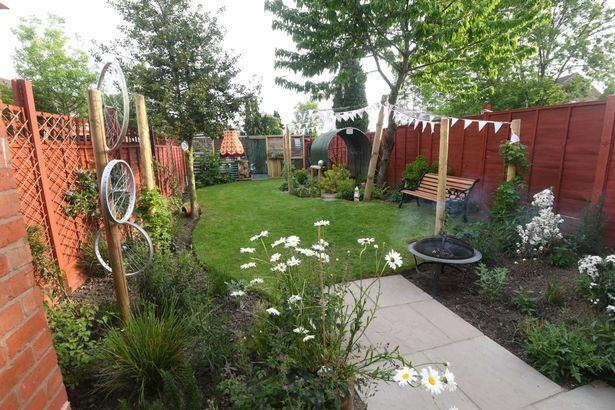 This is the amazing transformation of a Coventry garden - which was turned into a tranquil space, thanks to some TV help. 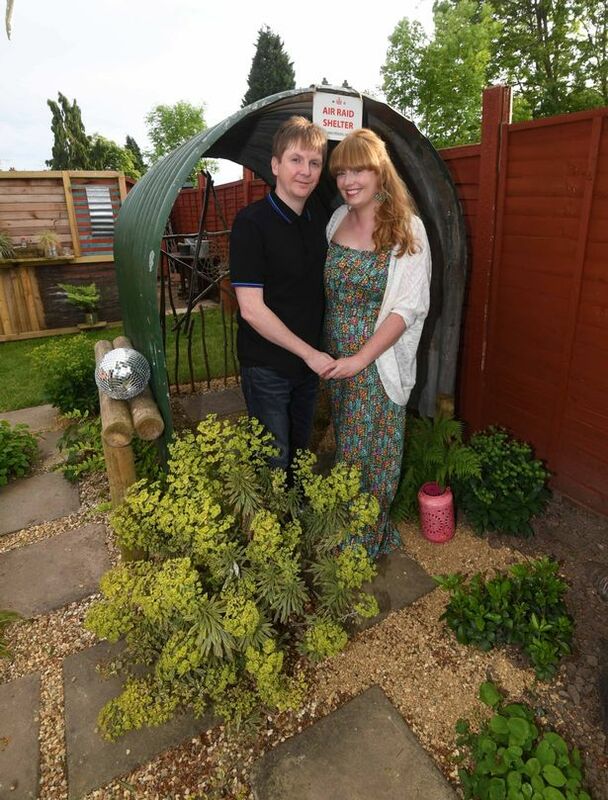 When Paul Bratby and Victoria Hurst moved into their first house together in Radford three years ago, their garden resembled a jungle. 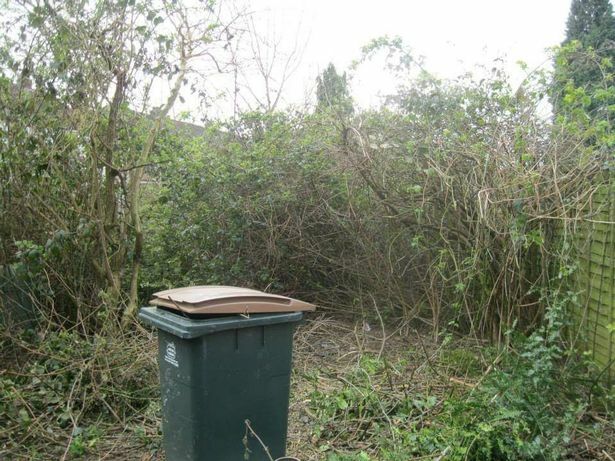 Brambles and weeds ran riot, and the couple could not even see as far down as the bottom of the garden. 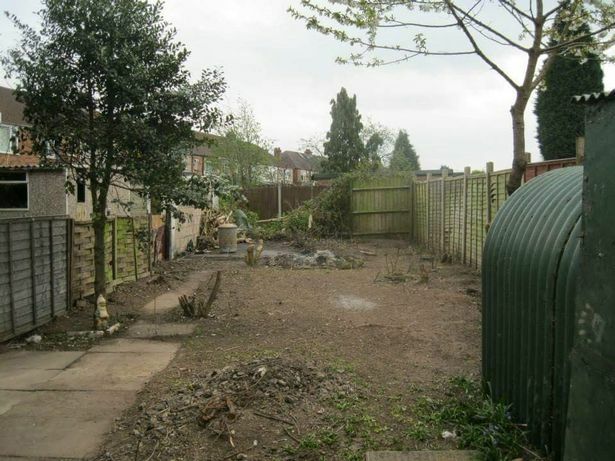 Despite the fact that it was in a sorry state, the potential was there, and the garden even came with an unusual feature - an original World War Two air raid shelter. With months of hard work, an array of tools, and help from Victoria's dad Jim, the garden was eventually restored to a neutral state. The couple had bold plans for the rear of their property, but needed help to see their dreams become reality. Following a chance conversation, the wheels were set in motion. Paul said: "The garden remained a blank canvas for a while due to lack of time with work, and the garden slowly started to see the return of weeds and not much else going on. "It was just before Glastonbury 2017 that a chance conversation Victoria held with one of her colleagues about a mutual love of a TV programme called Garden Rescue that featured the lovely Charlie Dimmock and award winning Rich Brothers. "During the conversation Victoria's work colleague mentioned that she had seen they were after new people to become involved for series three. "We applied telling them the history of the garden and how hard we had worked bringing the garden to a blank canvas stage, key to our application and something we wanted to utilize in a special way was the fact that the garden had come with an original WW2 air raid shelter. "We absolutely loved our original Anderson shelter and wanted to use this as a nod and a wink to Coventry's rich Blitz history. "The following day after applying to Garden Rescue we were on our way to Glastonbury Festival we received a phone call which involved us doing an emergency services pit stop, the Garden Rescue team loved the fact the garden had the air raid shelter and could see that we had some good ideas with what we wanted the garden to look like however in practice would struggle to do ourselves. "After Glastonbury we had the researchers come and visit our house and garden and thankfully we were accepted onto the show." In September 2017, Charlie Dimmock, the Rich brothers and the Garden Rescue team arrived to do their magic, and the couple have had to keep this quiet up until the programme aired. The professionals worked their magic, and now the garden looks stunning, living up to the potential that the couple saw in it. Paul said: "We have been bursting to show off our amazing garden to friends and cannot wait to see how the team actually made over the garden in only two days. "During the first day of the garden makeover the TV crew turned up and took over the house,there was the fun chaos and extremely surreal experience of Charlie Dimmock doing our washing up at one point of the day. "All the presenters and crew were extremely friendly and really understood what we wanted to achieve from our garden. "The designers really picked up on our love for music, be it going to gigs, music festivals, djing or playing gigs alongside a love for all things retro. 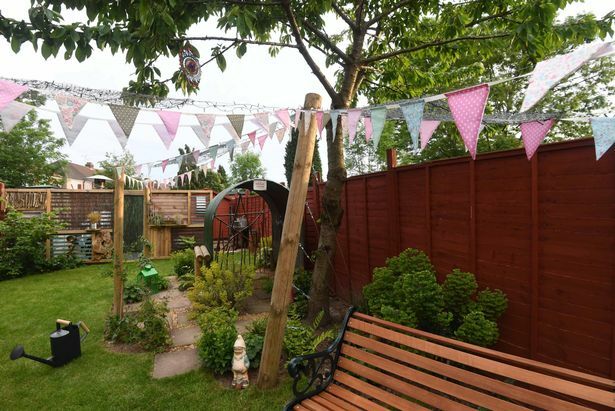 "The garden has been made over with a a complete patio area where we can enjoy BBQ's and entertaining, lots of flower beds, a complete new lawn, a memory wall which cordons of the top of the garden and workshop area which hides a fortune of sins. "One of our biggest pleasures of the makeover is seeing what the team have done with our air raid shelter turning this into another entertaining area and talking point, this has now been dubbed 'The Raid Bar' as it's somewhere cool to put drinks away from the sun. "As the garden was made over in September we have now been able to enjoy seeing the plants settle in and the garden really start to bloom following the start of summer, we hope everyone enjoys watching the show and enjoys the transformation the team have made to our garden and lives. "We now take as much advantage as possible of the sunshine and try to have as many BBQs even if it's only the two of us, having a few drinks and watching the garden in the sun really helps takes away any stresses of day to day life, it feels like our own secret music festival every time we are in the garden". The episode of Garden Rescue which shows the team tackling Paul and Victoria's garden is available on the BBC iPlayer now and you can watch it here.